True business agility happens when your business can dynamically adjust to take advantage of new market opportunities—without creating churn or disrupting organizational health. But how do you get there? 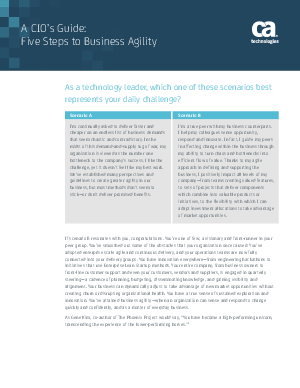 Read this whitepaper to learn the five key steps to business agility and the mindset adjustments you need to make to successfully transform your organization – and how to make the transformation stick.